Create the best conditions for patient care and recovery with quiet, healthy, comfortable and safe environments for sick people, staff and visitors. Gypsum Innovative solutions for fashionable and inspirational living spaces that are energy efficient, sound insulated, safe and with fine indoor air quality, and always easier to install. 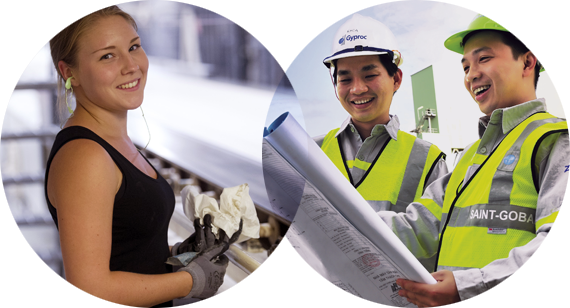 Saint-Gobain's Gypsum solutions are represented by 5 local brands: Gyproc, Placo®, Rigips, British Gypsum and Certainteed. With over 14 700 employees, Saint-Gobain provides plaster and plasterboard solutions in 67 countries, through 135 sites. Sustainability is at the core of Saint-Gobain's long-term strategy. Gypsum is a natural non-toxic mineral that can can be completely recycled an infinite number of times.